"My child's kicks don't look like everyone else's kicks"
The image above is of Grandmaster Kang Shin-Chul. He is 61 years old! It is my goal to be able to stretch well enough to kick like him! My kicks do not look like his kicks! My stretching is getting better, but I am no where close to Grandmaster! But, I will keep on stretching, trying my best! A while ago, a parent said that they did not want their child to test because their child’s kicks did not look like the kicks of others in the class. I explained to that father that it was okay because through practice and time the kicks will get better. In our conversation I used myself as the example: I have been practicing Tornado kick for more than 10 years. And still it is not where I want it to be. And it may never be as good as other masters, and that is okay because I can only do what I am able to do at that moment. If we are doing our best, there is nothing better than our best at that moment. Over time our best will increase. It may be very slowly. It may be very hard. But, if we keep doing our best, we will get better. The problem is that we compare ourselves to others, and place a “should” on our practice. I have been through this myself! At times in my practice of Taekwondo I would tell myself that: “I should be able to spin faster in my Spinning Hook Kick! “ Or “I should be able to spin faster in my jump spinning hook kick!” But, in the end the “should” that we place on ourselves (or our children) in regards to growth within Taekwondo (and elsewhere in our lives) only leads to our own disappointment and discouragement. 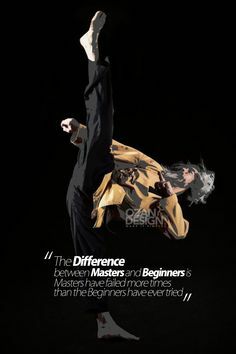 We may all never look like Grandmaster Kang Shin-Chul, but we can all be better selves in our practice of Taekwondo. Let’s celebrate each other in class and every where we go! It just might make our lives and other people’s lives better! And isn’t that what we are here for? Older PostWhen Does Taekwondo Learning Stop?